Heart Disease - Prevention/Lifestyle – Assessment of risk factors e.g. Blood Pressure, Cholesterol and Family History etc. Health promotion advice including smoking cessation, healthy lifestyle. Asthma Clinic – Assessments, treatment and monitoring of Asthma. 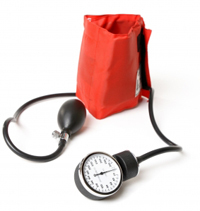 Hypertension/High Blood Pressure Clinic – Monitoring of, and treatment for high blood pressure. Spirometry Clinics - Assessment, treatment and monitoring of chronic obstructive airways disease. Long term medication management – monitoring for patients on long term medication requiring regular blood tests. Medical Examinations – Private medical examinations for special purposes such as pre-employment, HGV licenses, insurance etc. are undertaken during surgery hours and incur a charge. Midwife clinics - The Practice provides a surgery for our midwife from Stepping Hill Hospital - if you are pregnant and healthy please book in with the midwife at 8 weeks. The Practice does not have a travel clinic. Patients are advised to contact their nearest travel clinic to arrange an appointment.